I’m not a real fan of traditional guests books… So I love that there are some out- of -the- box brides willing to do something different. This little beauty is 5×7 accordion style with pockets to hold signed cards. 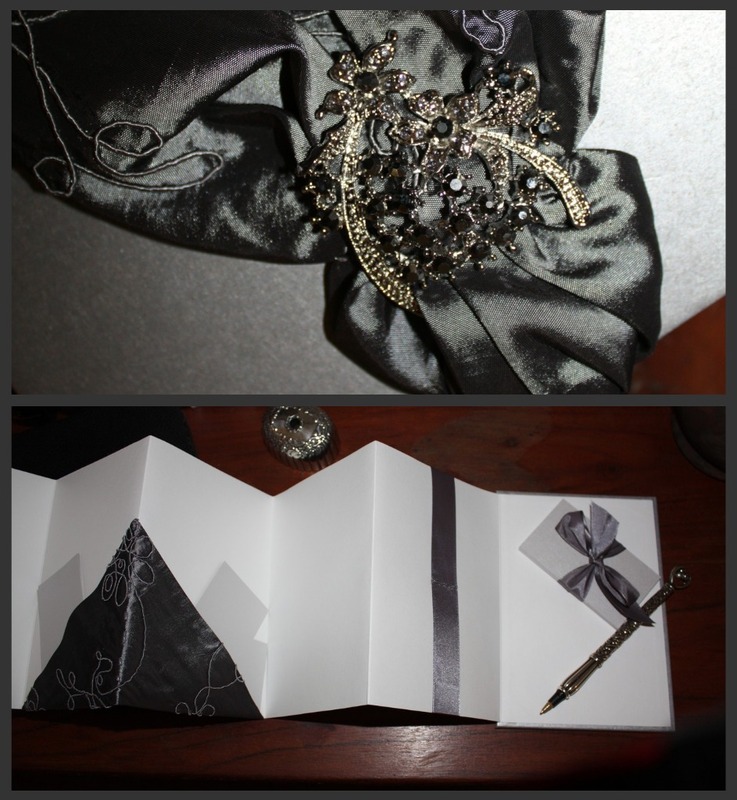 The cover is platinum taffeta adorned with an antique brooch. Love it! Contact me if you would like custom order information.